Want to use one of your stunning photos in your website design, but don’t want that pesky background getting in the way? Maybe you’re designing something for a client, and you need to remove the backdrop for the finished product to look right. Not much of an Adobe expert? Don’t worry. You can learn how to make a background transparent using Microsoft PowerPoint. You’ll need to be using at least the Office 2010 version to ensure you get the right results. Also, remember that PowerPoint isn’t quite as advanced as Photoshop, so it may not be ideal for complicated images. Place your image into Powerpoint by copy/pasting it or clicking on the File tab and loading the photo from your computer. 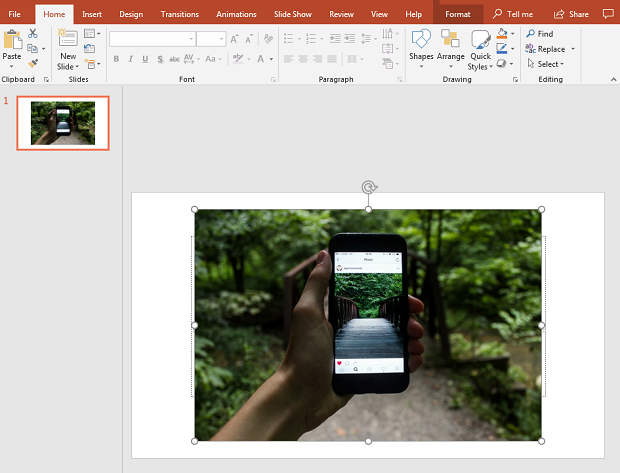 Powerpoint will attempt to remove the background itself, but you’ll need to use the options on the toolbar to click the areas you want to keep and remove from your cropped image. Zoom into the image, and you’ll see a selection of plus and minus signs around the picture. These allow you to choose the areas you want to remove. Click on any additional fields that don’t fit in your photo. Click somewhere outside of the image when you’re done. Save the picture as a .PNG to preserve the transparent background. Since most of the pictures you’ll want to remove the background from probably won’t feature many straight edges, let’s look at the “quick selection” and “brush” methods. Adjust your selection tool size accordingly so you can get rid of as much of the environment at once as possible, then narrow things down with a smaller tool. Subtract sections as needed (Get rid of anything you’ve accidentally selected, like a portion of your subject’s face. When you’re ready, click Delete on your keyboard, and you’ll have a transparent background. Remember to save the picture as a .PNG file to maintain transparency. If PowerPoint and the quick selection tool don’t work for you, there’s another way to make a background transparent in your photos. As we mentioned above, there’s a lot that photographers can do with Photoshop, including using the brush method to eliminate the background on trickier images. As you did with the quick select method above, start by getting your image ready in Photoshop. Remember to convert it into a Smart Object, then Rasterize the photo. 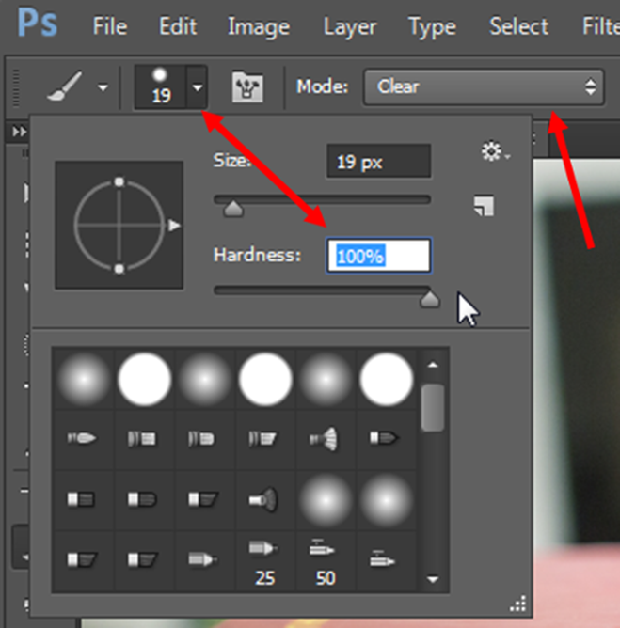 Change the mode and hardness of the brush tool, so you’re not just erasing a few pixels from your photo. You need the mode to be clear, and the hardness to be 100%. This transforms your brush into an eraser. Use your Photoshop brush to simply erase your background by clicking and dragging your cursor over the screen. You can zoom in on the image to get a more refined result. As always, remember to save your image as a PNG file. There you go! Three great ways to remove the background from your photos! Remember to catch up with us on Twitter and Facebook for more top tips and guides. Brilliant tutorial on Powe Point, While I spend hours on the selection tools in Photoshop try to get a nice edge, I think we can make it such a great way on PP. Yes, it is true that its use is limited. Because when we are dealing with a complex background such as hair, it can feel impossible to get rid of the background without a dedicated tool which basically using the various techniques.